Albert Martinez is undeniably a formidable actor with immense talent. 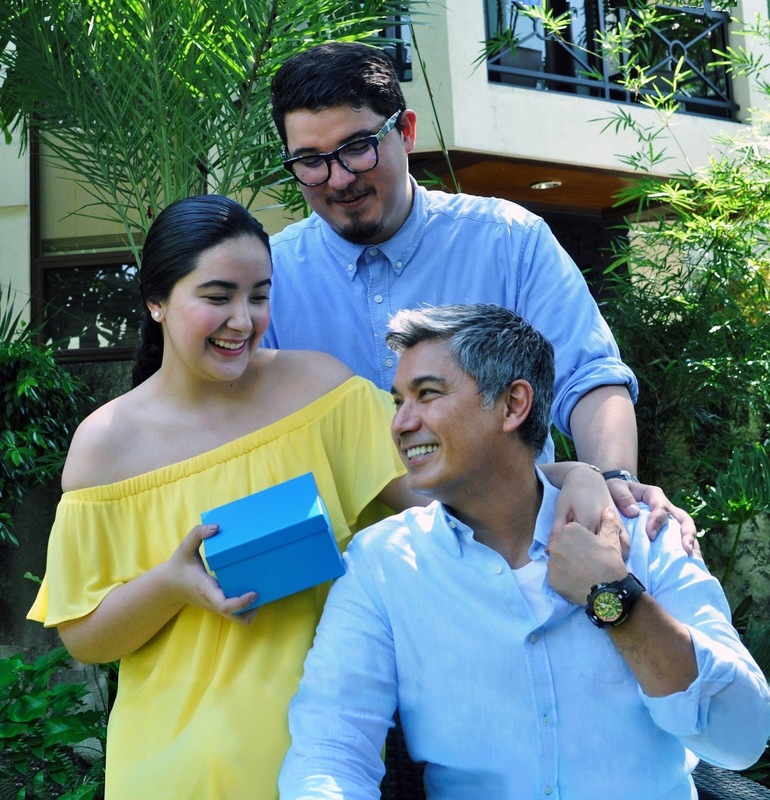 Even with the many awards and critical acclaim under his belt, Albert’s greatest trophies –his most precious rewards –are truly his kids: Alyanna, stylist and fashionista; Alissa, online entrepreneur and foodie; and Alfonso, certified car nut and restaurateur. The untimely passing of his loving wife Liezl two years ago dealt a painful blow to family. While the void will forever be felt, Albert is grateful that Liezl did an excellent job in laying a strong foundation for their kids as they were growing up. “They’re all very focused and grounded,” he beams with pride. And indeed, the Martinez brood is a picture of a contented, tight-knit family that is supportive of each other’s diverse interests and respective of each other’s personalities, where they make time to bond – to live deeper — just like friends. And what better symbol of this filial bond than the gift of a TechnoMarine watch for dad Albert on father’s day. “My dad and I have a lot of things in common,” shares eldest child Alyanna. “We love traveling, we love the outdoors, and we’re both moody at times,” she confesses. And while Alyanna was steadily making a name for herself in the world of fashion, Albert was always around to lend his support, attending shows and launches even with his hectic schedule. He even took a break from the hit series Ang Probinsyano just to be with Alyanna on her winter wedding in the US last year. For Alissa, on the other hand, her being a foodie and love for animals are the ties that bind her close to her dad. Apart from helping set-up her online business PoppyLuca, an online pet accessories store, they can often be found in the kitchen together trying out new recipes. “My dad and I love to cook and we both love to eat!” she shares with a laugh. Another thing that runs common among the Martinezes is their love for animals. They currently have seven dogs and translated this passion into a thriving family business: Ask a Vet. Albert wears the new TM-616002 from the UF6 line, the premium watch collection from TechnoMarine. TechnoMarine is available in Trinoma, Greenbelt 3, SM North EDSA, SM Megamall, SM Mall of Asia, SM City Cebu, Robinson’s Galleria, Robinson’s Magnolia, Shangri-La Plaza and all My Diamond boutiques nationwide. Like TechnoMarine on Facebook: https://www.facebook.com/TechnoMarinePH/ and follow them on Instagram @technomarineph.